In 2007, an investigation found that eBay sold 2,275 elephant ivory items in a single week. The company promptly banned the sale of ivory on its site, a move that was praised by conservationists. Now, it seems that little has changed -- traders still use the site, disguising their products as "faux," according to the London Evening Standard, which spoke to several conservation groups about the issue. If the ivory product was created before 1947, it is legal to trade. But this has proved difficult for eBay to verify. The intentional labeling as "faux" or ox bone confuses things even further, say conservationists. A quick eBay search for "ivory" yields over 1 million results. "We are concerned that some people have been blatantly trying to get round the eBay ban by disguising their items," said Tania McCrea-Steele, IFAW's campaigns manager. "It may be that there are people who do not understand the consequences, or who do not understand the law so we are talking to eBay about ways in which they can improve consumer awareness on their website." 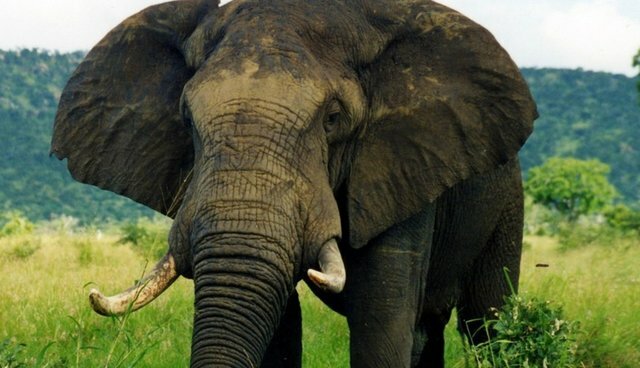 IFAW and others recommended pop-ups on eBay's site to make people aware of the ban against selling illegal ivory. eBay said that it is working closely with conservation groups to stop the sale of ivory products. "We proactively enforce our policy and quickly take action to remove listings of items of concern," said a spokesperson. "We are also committed to educating sellers of our site guidelines."